Now that the trade deadline has passed, we can all sigh with relief that the Yankees’ newfound prospect depth is almost entirely intact. Ramon Flores and Jose Ramirez, we hardly knew ye. What lies below is my entirely subjective and personal ranking of who I reason to be the fifteen best prospects in the Yankees’ farm system. These rankings are not reflective of the opinions of some of the much more seasoned prospect gurus at the main section of BP, and it is entirely possible I would be laughed out of a room for even proposing some of what I have written. Why the hell are you reading this still? Sigh. Well, you’ve been warned. Luis Severino, RHP: Severino and Judge are essentially 1A and 1B for me, and they can really be flipped around in whatever order one so desires. Severino is dispelling doubts about his long-term viability as a starter that stemmed from his size and arm-heavy delivery. His slider, once a source of worry because it lagged behind his fastball and excellent changeup in its development, has become a more than useful pitch. He’ll make his big league debut today against the Red Sox, and we should be in for one hell of a show. 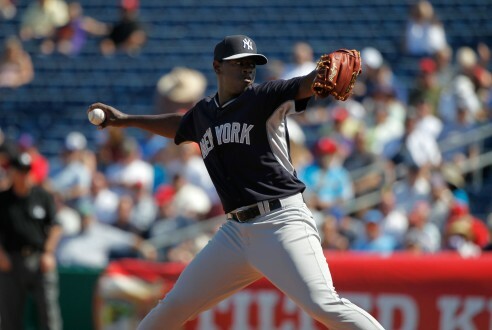 In 61.1 innings at Triple-A, Severino did not allow a single home run and struck out more than a fifth of the hitters he faced. That’ll do. If he can fully put the doubters to rest, he’ll be a frontline starter for years to come. Aaron Judge, RF: The mountain of a man known as Aaron Judge has also reached Triple-A Scranton. He mashed his way through the minor leagues after being taken in the 2013 draft as the lowest of the three first round picks the Yankees found themselves in possession of (Eric Jagielo and Ian Clarkin were taken ahead of him). Judge plays a good right field and boasts a great throwing arm in addition to his big bat. He doesn’t sell out for power, instead focusing on a line drive approach and letting his prodigious strength account for him running into hilariously massive home runs. He’s surprisingly spry for a man of his size, and while that will likely fade as he ages, he’s a rather complete player. Judge may see the lion’s share of the playing time in right field next year. Greg Bird, 1B: Bird may just be the most intelligent hitter in the system. The man who served as Kevin Gausman’s catcher in high school walks quite a lot while also hitting for great power from the left side. He’s also improved substantially with the glove at first base since being converted from the backstop after the draft. He may not hit for a high average in the big leagues, but a high-OBP power bat with a .265-ish batting average could easily be in the cards here. BP’s Jeff Moore lightly threw a Lucas Duda comp on Bird before Duda turned back into a pumpkin for a while, so there’s that. Bird is a very cerebral hitter and his love for the art will take him a long way. His disposition as a natural leader in the clubhouse is an asset and he should thrive in the limelight of New York. Jorge Mateo, SS: It’s possible that while you read this sentence, Mateo is stealing a base. As of this writing he has swiped 71, which leads all of MLB-affiliated baseball. That statistic is probably outdated by now, however. Oh, and he’s hitting .268/.338/.378 at age 20 in Low-A, and playing a decent shortstop. There’s a mountain of potential here, and it’ll be fun to see how much power he grows into as he physically matures, and how much of that speed he’ll keep. Mateo posses one of the very few genuine 80-grade speed tools, and when that’s packaged with a player that can hit and play a legit shortstop, it’s a fantastically dangerous profile. James Kaprielian, RHP: Kaprielian was the Yankees’ top pick this summer, taken 16th overall out of UCLA. While he wasn’t the sexiest of picks, Kaprielian comes with a polished package of four pitches (fastball, slider, curve, changeup) that all grade at least average or better. He doesn’t throw particularly hard, but he makes it work with his good fastball command that allows him to throw the pitch where he wants and set up his secondary stuff. Kaprielian should move quickly through the system and fill a role in the middle of a big league rotation soon. Gary Sanchez, C: It’s been a long road for Sanchez, who’s seemingly been around since the dawn of time. Yet Sanchez is still just 22, and is now hitting well in the upper levels of the minors. He posted a 127 wRC+ in 58 games at Double-A Trenton before being bumped up to Scranton, and he’s now swatting homers left and right. The point against Sanchez has long been his defense, but he’s shown marked improvement behind the plate in both his physical defense and his game calling. Sanchez also still possesses a Howitzer cannon for a throwing arm and loves to show it off. One would have to think that he’s first in line for a callup if an injury should befall Brian McCann. Eric Jagielo, 3B: Jagielo was the first of the three Yankee first round picks in 2013, and the Notre Dame product hit his stride offensively before going down with a knee injury at Double-A. Some in the organization are quite down on Jagielo’s work at third base, it should be noted, as he can look almost statuesque at times. Before his injury, he was beginning to see time at first base. However, a 50 bat with plus power will play just about anywhere, if Jagielo can cut down on the number of ugly-looking strikeouts he falls victim to. Jagielo felt like trade-bait before the injury. The organization will likely send him out to the Arizona Fall League to make up for lost time and his performance there will be telling. Rob Refsnyder, 2B: Refsnyder is easily one of the most stymieing players in the system. A converted outfielder, Refsnyder lacks some of the basic defensive instincts necessary to succeed at second base. 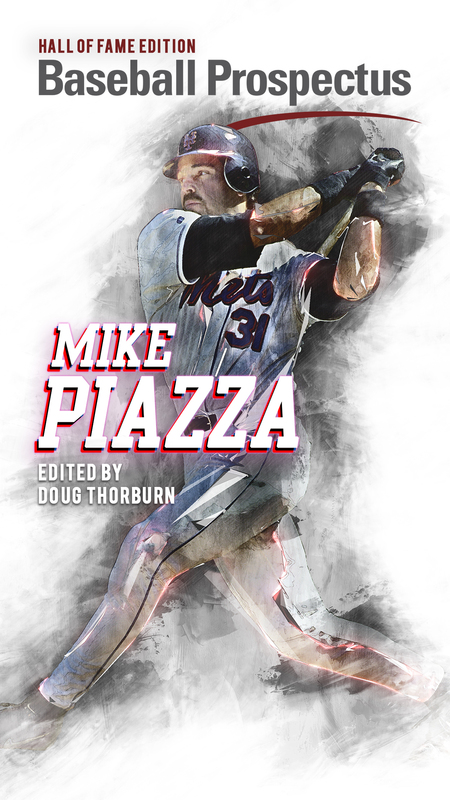 That may not be the final book on him when all is said and done, but it’s certainly the case right now that’s deploying a mixture of Brendan Ryan and Stephen Drew at second base a level above Refsnyder. He seems to have a propensity to rush routine plays and botch double play balls, but at the same time Refsnyder displays an advanced feel for hitting. His meteoric rise through the system last year has predictably not held up this season, but he’s still one of the best hitters on a Triple-A squad that now also features Judge and Bird. He won’t hit for that level of power, but it’s a major league bat. The glove will be the key to whether or not the Yankees view him as a big league player. Ian Clarkin, LHP: Nobody is quite sure what sort of arm injury is causing Clarkin to sit out the season. If he were healthy, he would likely be ranked much higher. All of his pitches are average or better, led by his nasty curveball. Clarkin figures to be a member of the front portion of a big league rotation, but that all depends on how he returns from his mysterious ailment. Such his life. He’s still quite active on Twitter, though. Brady Lail, RHP: Speaking of meteoric rises, Lail just reached Triple-A at the age of 21. Like Kaprielian, he doesn’t throw overly hard but instead relies on location and movement to keep hitters off balance. The product of a Utah high school known much more for football than baseball, Lail would be just the 40th big leaguer from the state should he reach the Bronx. Lail is a remarkably coachable pitcher and now that he’s overthrowing his fastball far less, his control of all of his pitches is resulting in quite a lot of weak contact. He’ll likely spend most (if not all) of next year in Scranton refining his craft for the final jump, but the stuff that had made Lail a sleeper has put him directly on the radar. Rookie Davis, RHP: Recently promoted to Double-A, Davis has drawn quite a bit of attention for striking out 25.9% of opposing hitters while walking just 4.4% and reaching 96 MPH on his fastball. Though he’s still developing his changeup, Davis’ curve is more than enough for the time being to act as a reliable second offering. The development of the changeup will be what decides whether Davis continues as a starter or turns into a nightmarishly good reliever. Obviously the Yankees hope he can stick in a rotation, but the stuff could play up even more in short stints if all else fails. Jacob Lindgren, LHP: Lindgren surfaced briefly in majors this season before being sent down and then sidelined with bone spurs in his elbow. Drafted in the second round in 2014, Lindgren put up eye-popping numbers in the minors in his ascension to Yankee Stadium. 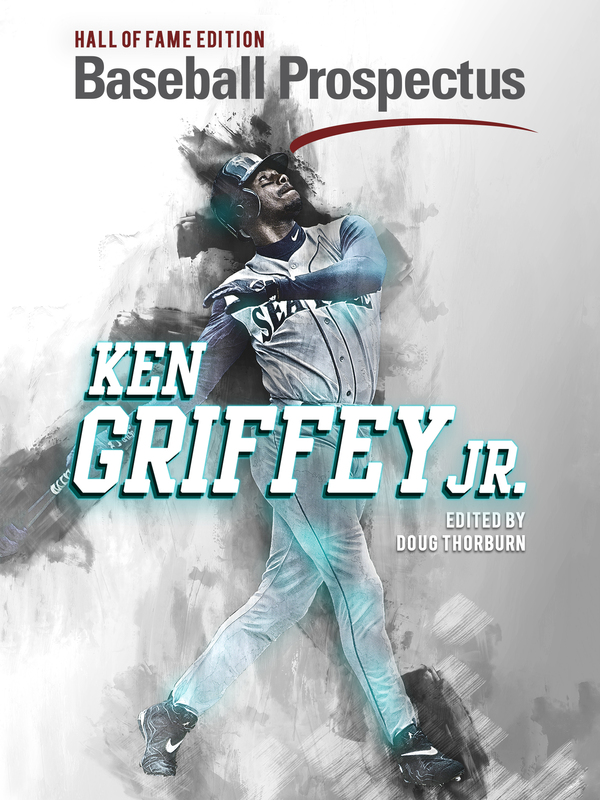 His wipeout slider is his calling card that allows him to pitch effectively against batters regardless of handedness, and he can reach 95 on his fastball. What prevents me from being as high on Lindgren as everyone else is his spotty control. What we saw in his time in the big leagues was likely a partial result of those bone spurs, but there’s the potential here for more walks than one would like to see. When he’s right, however, Lindgren also induces a silly amount of ground balls, so there’s closer material here. Nick Goody, RHP: I was sorely, sorely tempted to rank Goody higher, and this is undoubtedly the highest you’ll see him ranked anywhere. It could very overzealous, but I’ve seen enough of Goody to drink the Kool-Aid. Whenever he was inserted into a game at Double-A, Goody was basically a cheat code. Over 41.2 innings, he struck out 59 and walked 14. At the time of his promotion to Scranton, he led the whole team in strikeouts, including the starters. He’s been just as good at Scranton, and the control issues he’s had in his very brief cameos in the bigs this month are likely a result of simple jitters. Goody’s makeup is through the roof, so don’t expect that to last. He does it all without throwing overly hard, instead relying on movement and a plus curveball to get his work done. I can’t heap enough praise upon this player. Hoy Jun Park, SS: Signed out of South Korea last year in the Yankees’ international spending bonanza, Park is playing in short-season Pulaski at age 19. There’s plenty of growth left here, but Park is already a plus defender at shortstop and holding his own at the plate. He walks at an encouraging clip and some more power should come as he fills out more. An assignment to Charleston to start next year would not be surprising. Park may end up as a glove-first player when all is said and done, but his bat will be more than enough. He’s certainly one to watch next year. Tyler Wade, 2B/SS: Take everything about Park and flip it on its head. Wade can hit and hit and hit some more. His bat just got him promoted to Trenton last night. Wade’s problem is fielding. He’s got the range to stick at shortstop, but a high number of errors highlight his need to improve the steadiness of his hands if he wants to stick at the position. The good news is that he’s just 20 years old, so he’s been young for his level and the promotion to Double-A only accentuates that more. Wade has plenty of time to steady himself, and could turn into quite a fun player. He and Park can be easily flipped in these rankings without any loss of sleep. Some other players to keep an eye on are outfielders Dustin Fowler and Mark Payton, injured catcher Luis Torrens (who would have likely made the list if he was healthy), infielders Thairo Estrada, Abi Avelino, Kyle Holder, and Miguel Andujar, and a gaggle of pitchers including Bryan Mitchell, Jordan Montgomery, Jonathan Holder, Cale Coshow, Domingo Acevedo, Drew Finley and Jeff Degano. Things are getting exciting down on the farm.